Mini and Merc drivers are the Biggest Adulterers! 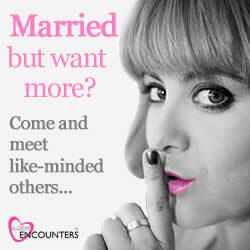 Mercedes and Mini Coopers are the most common cars driven by Britain’s adulterers, according to a new study by IllicitEncounters.com, the UK’s top married dating site. The top car for female members is a Mini Cooper with 19.5% of the votes, while the most popular car for male members is a Mercedes with 23% of the votes. If your spouse drives a Toyota they’re less likely to be having an affair, because the two cars driven least by adulterers are a Prius (0.41% of votes) or a Yaris (0.82%). The Prius is largely associated with being boring and safe. In Will Ferrell’s The Other Guys, it’s referred to as a ‘tampon on wheels’. This stereotype seems to be accurate in this study because those driving a Prius tend to be the most faithful, securing only 0.41% of votes, 56 times less than Mercedes drivers!